Toronto: Kids Can Press, Ltd., 2003. Benny loves to help in Grandpa’s bakery. He bakes the best bagels in town. One day, Grandpa explains to Benny that God, not he, should be thanked for the wonderful bagels. 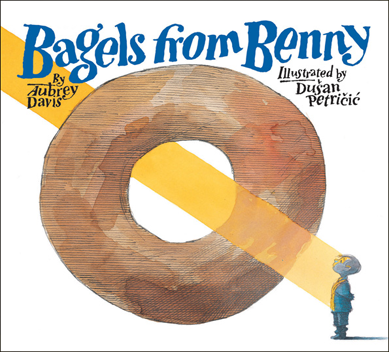 So every week, Benny leaves a bagful of bagels for God in the synagogue. And every week they disappear. Is God eating the bagels?